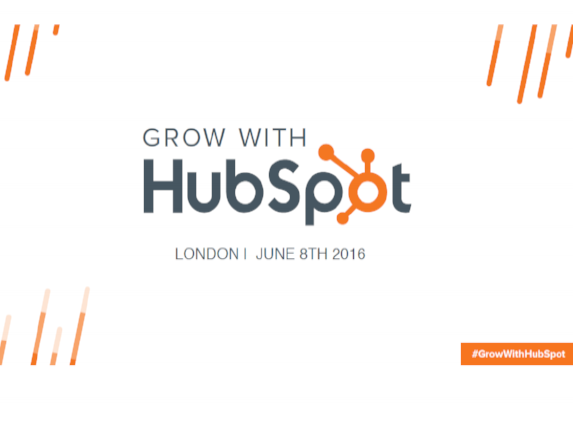 We don’t mean to brag but last Wednesday we had the pleasure of attending what turned out to be the largest and most successful Grow with HubSpot event in Europe. 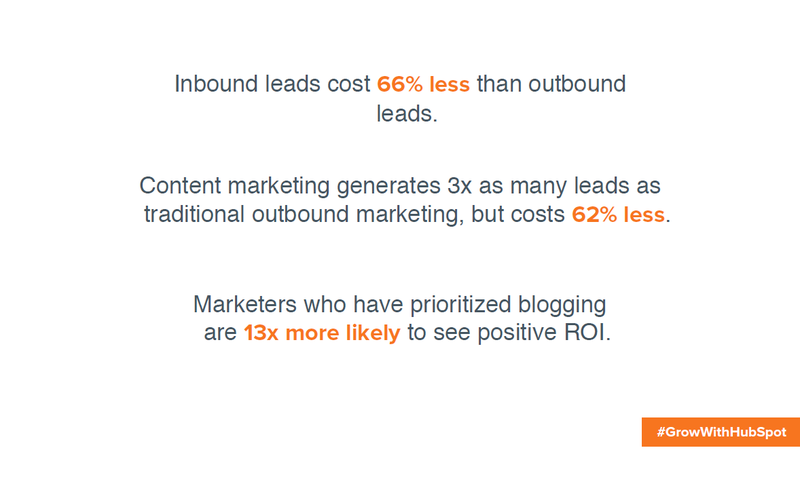 An event series dedicated to helping businesses achieve remarkable growth through inbound marketing, Grow with HubSpot brings top inbound experts and HubSpot enthusiasts together to share their knowledge and gather inspiration. 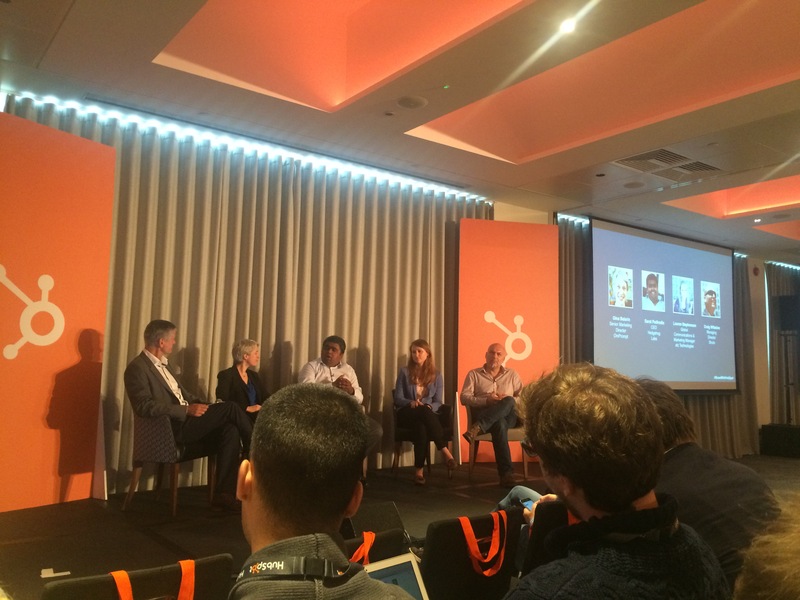 We had a blast at Grow with HubSpot in London, absorbing the inbound knowledge directly from the source and speaking with as many of the 500 members of the HubSpot community that attended as possible. With informative and engaging sessions and workshops and enough room in between to exchange inbound know-how and business cards, the Grow with HubSpot event was exactly what the bandv newly expanded team needed. The incredible energy and enthusiasm for inbound definitely rubbed off on us and we came back reinvigorated and keen to start applying what we learned. After a day packed with brilliant talks, inspiring speakers and frantic note-taking we had a lot to take away with us. Being the generous crowd we are, we decided to share it all with you. Here is an overview of what we learned and heard, key takeaways from high-profile speakers and some insight fresh from the kitchen about the future of sales and marketing. All it really takes is a simple shift in your mindset which has the potential of transforming your entire organisation and the way you do business. The sooner you start being helpful and start producing valuable content, the sooner you can start seeing those amazing results. 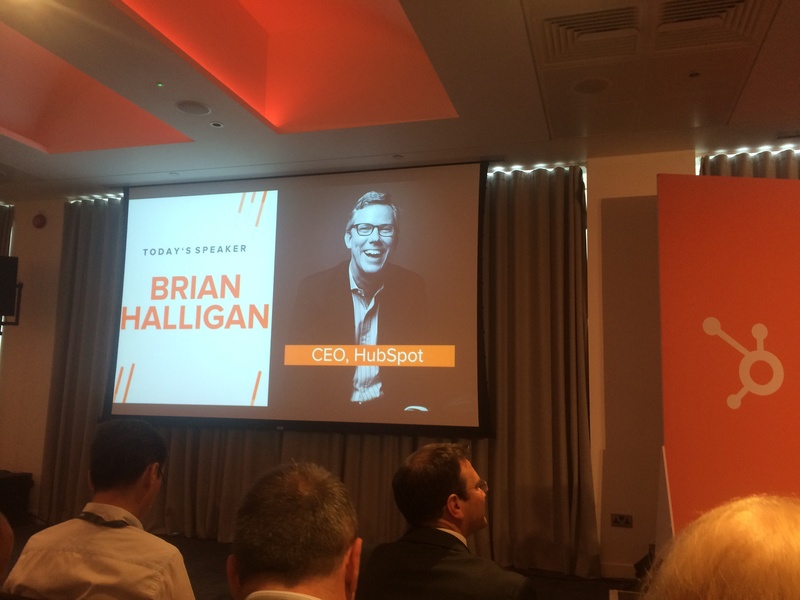 The true star of the event was HubSpot CEO himself, Brian Halligan. A legend in the inbound world, Senior Lecturer at MIT, a well-regarded author and a charismatic speaker, it is understandable that we were quite excited to hear from Brian Halligan for the first time. Alright, “quite excited” might be a bit of an understatement. We were absolutely star-struck by him and practically a step away from waving our “We worship you, Brian!” posters from our third-row seats. Brian emphasised a theme started earlier on at the event and stressed by many speakers throughout the day: Word of mouth is the best channel marketers have at their disposal. Happy customers and prospects can work miracles for our businesses and the sooner we make it our priority to make prospects and customers happy, the sooner we will see the amazing results this can bring to our businesses. A good first step in the right direction is to make it our mission to be helpful and to create valuable content that provides answers to our prospects’ most pressing issues. It is good to remember that great content has a lasting value and every piece of content is an opportunity to get found and be found again and again. With his straight-to-the-point approach to problem-solving and snappy manner, Brian managed to deliver a whole course on inbound sales and marketing in just under 30 minutes. Be good at Fat Head SEO - Be the Answer! Don’t fight the bot – The AI revolution is coming! 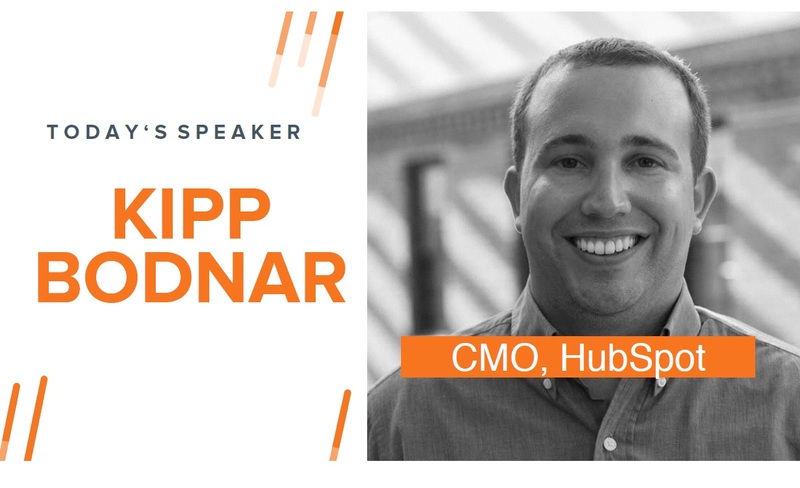 It was great to hear some of the HubSpot success stories from the amazing marketers who were invited to speak at the HubSpot Customer Growth Panel. They shared their stories from their humble beginnings with HubSpot to the major changes the inbound methodology brought to their organisations. From “doing everything wrong”, in their own words, having no sales or marketing teams or a peer group to talk to, and not having control over ROI to aligning their marketing strategy with their company values and making a great return on investment, the speakers all had some words of encouragement and advice for everyone on their journey to inbound success. The stories shared by the HubSpot Customer Growth Panel were a great source of inspiration and reminded us that the path to greatness is a winding one, however, with the support of a great community and access to valuable resources, anything is possible! If after reading about our great experience at Grow with HubSpot in London, you are just as inspired to become an even greater inbound marketer as we are, delve deeper into the inbound world with some key reading on the topic. If after all that reading you would like to learn even more about inbound and how it can transform your business don’t be shy get in touch with us for a free marketing consultation.